Believe it or not, hundreds of people are injured each year while watching sporting events. From foul baseballs to NASCAR crashes, spectators are often subjected to a certain amount of risk. And while spectators are generally presumed to have accepted a certain amount of risk, this does not always mean a sports team or stadium owner will be completely free from blame. In certain situations, flawed designs in architecture and cutting corners on safety measures can lead to serious injuries. At Roman & Roman, P.A., we represent injured people throughout the Tampa-St. Pete area. Call us for a free consultation today. As one report from the Chicago Tribune explains, people have suffered serious injuries at baseball games. Foul balls have struck spectators in the face and head, causing blindness, fractured skulls, and permanent disfigurement. In some states, baseball park owners and team owners are shielded from liability under most circumstances. However, there are limits to these liability shields. In situations where the stadium fails to keep netting in place, ignores warnings, or fails to use industry standard protective measures, there may be liability for the ballpark. 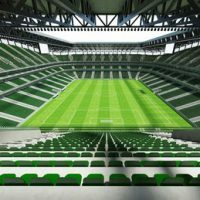 As one report demonstrates, there have been at least 39 people who have fallen from stadium balconies in just the past 10 years alone, including 14 deaths. As the report states, this does not even include things like fights or assaults. Over the years, many fans have been seriously injured, burned, or even killed while watching races, including NASCAR. As high speed vehicles traverse the course, accidents are frequently one of the more sordid but highly anticipated aspects of the sport. Unfortunately, when racetrack companies do not maintain the track or fail to implement proper safety barriers, it can lead to catastrophic injuries for the fans. If you or a loved one are injured while watching a sporting event, the first thing you should do is seek medical treatment right away. It’s important to get the care you need and thoroughly document your injuries. Next, make sure you get the names of any witnesses, if possible. You will want to file some sort of injury report or incident report with the stadium management. Make your injury known right away. Do not try to hide it. Finally, contact an experienced personal injury attorney who can help. It’s true that only a small percentage of all injuries are truly compensable injuries where the victim has a right to pursue compensation. The key is proving that someone acted carelessly or negligently and that this negligence was the direct cause of your injuries. This is where a personal injury attorney can make all the difference. At Roman & Roman, P.A. in Clearwater, we know where to look for negligence, and we can often spot serious liability issues where others may not. For a free consultation and to launch an investigation into your injuries, call or visit our firm online today.